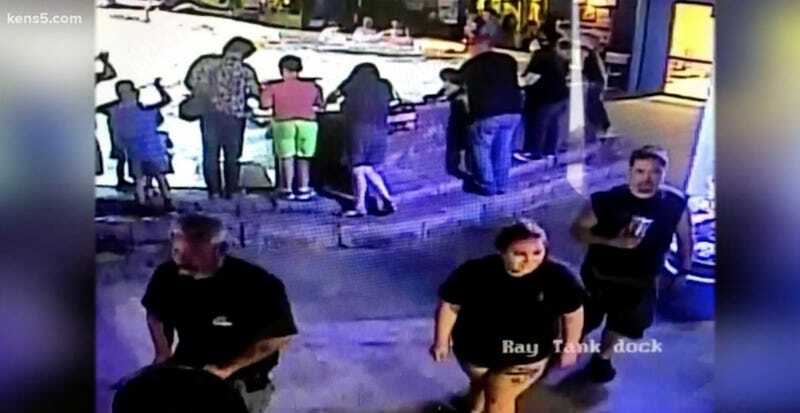 We have a very happy update for you in the case of Helen, the horn shark who was the subject of a daring stroller heist this weekend at the San Antonio Aquarium. Not only has Helen been found, but she appears to have been lovingly cared for by her captor, who stole her in the first place because he used to have a horn shark and wanted a replacement pal. Aww! Salvaggio said yesterday that he doubted Helen would still be alive, since she required a particular sort of tank. Shannon seems to have a been maintaining a little aquarium of his own, and Helen was recovered and returned to the aquarium in healthy condition. According to Bexar County arrest records, Shannon faces a felony theft charge. Neither of the other two thieves have been identified.